Tools like Google Keyword Planner, MOZ Keyword Explorer, and SEMRush can help HVAC contractors identify secondary keywords. Each of these tools offers suggestions based on your primary term that can be dispersed secondarily throughout your on-page content. We cannot stress enough how important readability is to your website and it is the fastest way to create sustainable search visibility improvement. 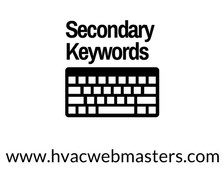 HVAC Webmasters includes secondary keyword implementation as part of our keyword strategy services. Call (800) 353-3409 to learn more. Each of these spots can fall victim to redundancy if you’re not careful. That’s why diversifying your keyword list is important. With that said, maintaining relevance is equally as important. You can’t optimize one page for two topics. Instead, you should look for lower volume synonyms that relate to the subject matter and help facilitate engaging content. Long tail queries often serve as valuable secondary terms because they expand upon the page’s fundamental concept but cast a more narrow net on potential visitors. With each passing year, Google can more precisely interpret user intent. With that in mind, keywords are becoming less relevant, and searcher intent is becoming more critical. While keywords are still a part of search engine optimization, using them within the context of high quality and engaging content takes precedence over their traditional usage. Stuffing keywords is now considered black-hat SEO and can earn your website a Google penalty, as well as a significant blow to its rankings. HVAC Webmasters covers the full spectrum of internet marketing, and along with Google, we are constantly evolving. By partnering with us for your online marketing plan, you can ensure that you stay ahead of the curve, whether that comes in the form of Google algorithm updates, or changes to consumer behavior. 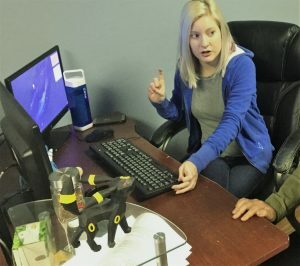 Our mission statement is consistent; to put our clients in the best position to succeed with an intention to increase search visibility and generate more leads. Call (800) 353-3409 to discuss secondary keywords and how they can help your HVAC website. Updated on April 9, 2018 at 9:54 pm by HVAC Webmasters.